Saturday 13th June: Meet us at Fork to Fork Food Festival ! The Fork to Fork Food Festival will take place for the first time on Saturday 13th June 2015 at ARK Franklin Primary Academy in Kensal Rise. It will bring together some of London’s most talented and creative chefs, restaurateurs and producers. Featuring food and produce stalls, talks and tastings, craft beer, great wine and artisan spirits, a world fete area, secret picnic garden, live music and children’s activities, guests will have the chance to mingle with the great and the good of London’s dining scene in a relaxed, festive and family friendly environment. 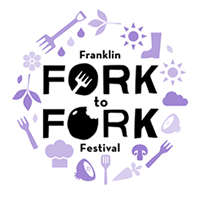 The Fork To Fork Food Festival has been set up to raise money for the Open Air Classroom project, which will pilot at ARK Franklin Primary School. The project aims to create a truly inspirational external environment for the children of ARK Franklin and the local community. The Open Air Classroom will be a place where pupils and locals can experience the joy of discovery, solve problems, be creative and learn a range of disciplines in an open air and stimulating environment. The Open Air Classroom will include raised beds, fruit trees and a garden kitchen with a solar power oven, where the children can grow and cook their own food to sell at local farmer’s markets in turn teaching multi-disciplines such as the joy of good eating, nutrition, health, science and commerce. A pond to teach marine science, a conservation area and wildflowers to attract butterflies and support our own beehive, a wormery to recycle food waste from the kitchens, a sensory area for discovery, an amphitheatre for theatre productions and outdoor classes, a science zone including a weather station, sundial, compass clock and of course climbing frames and play equipment. Come and join us – it’s sure to be the hot ticket in West London for Saturday 13th June! Hello I’m trying to sign in to win tickets to Field to Fork in Saturday as your tweet said!!! I can’t find anywhere to enter the competition other than leaving this message!!! You can go to the website https://naturesdiet.net/ and on the right hand side there should be a section where you can “follow the blog”.